The cooperative action-RPG/sandbox title Portal Knights now has a firm release date for the PC, and will be making its way to the PlayStation 4 and Xbox One as well, it seems. The game will leave Steam Early Access on April 28, 2017 on the PC, and then should be available on the consoles a few days later on May 2, 2017. Our regular Monday night crew played a bit of the game last year when it first hit Steam Early Access and enjoyed some of the ideas/features, like trying to make a house and a garden while fighting off orcs. The limitation on players being able to go off to other worlds separate from their companions was a letdown, but it sounds like developer Keen Games have plans to address that with a future update. They also revealed that they plan on implementing splitscreen functionality to the game, though it's not clear how many players that will support and if it will also support combo co-op. 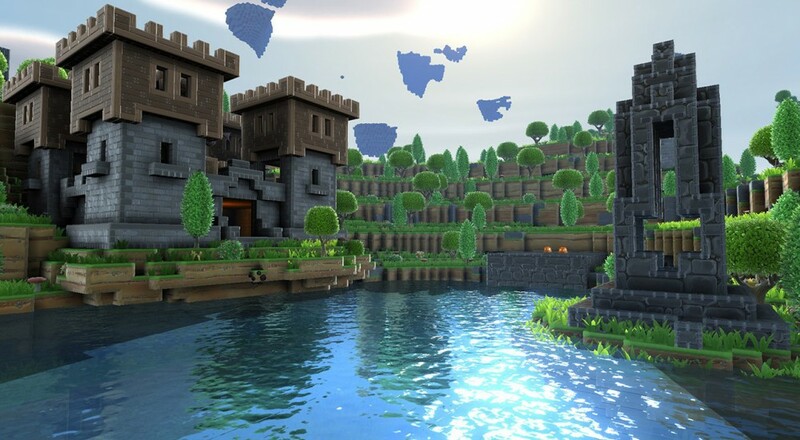 Portal Knights is currently available on PC via Steam Early Access at a 20% discount until February 9. The title is available for pre-order for both Xbox One and PlayStation 4 on Amazon for $29.99.